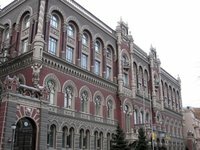 The National Bank of Ukraine (NBU) expects that the state and guaranteed debt in 2018 would be lower than 70% of GDP, according to an inflation report posted on the central bank's website. "The state and guaranteed debt towards GDP in percentage points will decline during the whole period of forecast (2018-2020) with the achievement of the level lower than 70% of GDP in 2018," the NBU said. The central bank said that on one hand, further growth of nominal GDP would contributed to this, and on the other hand, it would be low volatility of the exchange rate and gradual reduction of external state debt along with large payments to be made in the period. As reported, the aggregate state (direct) and state-guaranteed debt of Ukraine in December 2017 decreased by 0.03%, or by $30 million, to $76.31 billion. In the national currency the state debt increased by 3.86%, or by UAH 79.67 billion, to UAH 2.142 trillion. In 2017 the aggregate state (direct) and state-guaranteed debt in dollar terms rose by 7.52%, or by $5.33 billion, in the hryvnia by 10.98%, or by UAH 211.91 billion. The official hryvnia exchange rate which the Finance Ministry used to calculate the debt, decreased to UAH 28.07/$1 in December or by 1.3%, while at the end of 2016 it was UAH 27.191/$1.